MUMBAI: ‘Teri Khushboo’ singer Palak Muchhal has launched two of her singles ‘Raghupati Raghav’ and ‘Om Jai Jagdish Hare’ under Rajshri Soul. The third single, ‘Vaishanv Janato’ will be launched before Gandhi Jayanti. The singles have been launched for a cause and the amount collected from the single will be donated to the Rajshri Foundation. “Rajat Barjatya sir approached me for singing all three singles after I recorded a track for Rajshri’s upcoming movie. I had previously worked with them when I had sung the title track for one of the TV serials produced by them. He also told that it was for charity, so I immediately agreed to it and I am really happy with the outcome,” said Muchhal. The song was recorded three months back and it took her half an hour each to record the tracks ‘Raghupati Raghav’ and ‘Om Jai Jagdish Hare’. It took a day to shoot each song. She is also coming up with the unplugged version of her song ‘Teri Meri Kahaani’ from the film ‘Gabbar Is Back’ under the Zee Music label. The solo and the video will be released in this week and the songstress is very excited for the same. “I just had four or five lines in the song, but now I get to redub the whole track in my voice, which is great,” she said. Apart from this, the singer has also rendered her vocals for the song ‘O Khuda’ from the film ‘Hero’. The track was recorded eight to ten months ago. The music of the film is composed by Amaal Mallik and the lyrics are penned by Kummar. Mallik has rendered the male vocals for the song. “Amaal and I have known each other for almost five years and he called me to sing this track. The song has an emotion of love and goes on to become rebellious in the other half of the track,” explained Muchhal. According to her the composition itself was so beautiful that she did not have to add her creative elements to it. The video of the song's making will also be released soon. In 2015, the ‘Meri Aashiqui’ singer has crooned for various composers, whom she had not worked for previously, which has helped her become a better artist. 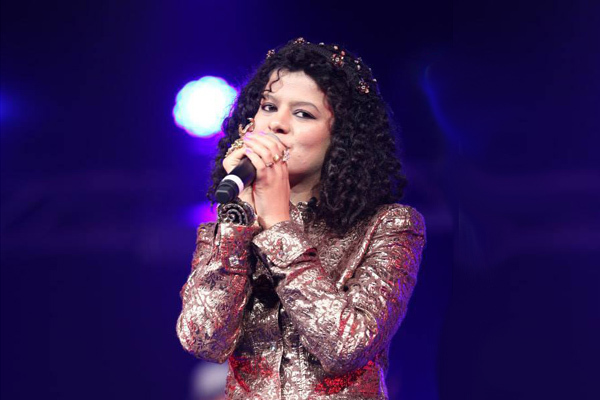 “There is this one thing, which is unique about each composer and you can actually imbibe the same in you,” said Muchhal. MUMBAI: Sa Re Ga Ma Pa Li’l Champs’ tonight episode will have Bollywood music composer, music director, and singer Himesh Reshammiya as a guest judge. The contestants of the show, who are winning hearts, will croon evergreen songs of Himesh. MUMBAI: Singer Shaan feels that filmmaker Sanjay Leela Bhansali is underrated as a composer.Apart from directing, Bhansali has also given music for movies such as Padmaavat and Bajirao Mastani.